Lorenz Glatz’ book "Journeys to Lost neighbors. The Jews from Wiesmath" was donated to Yad Vashem library in Jerusalem by Servas Israel, dedicated to all Jews who perished or survived the atrocities done by the Nazis in Austria during World War II. 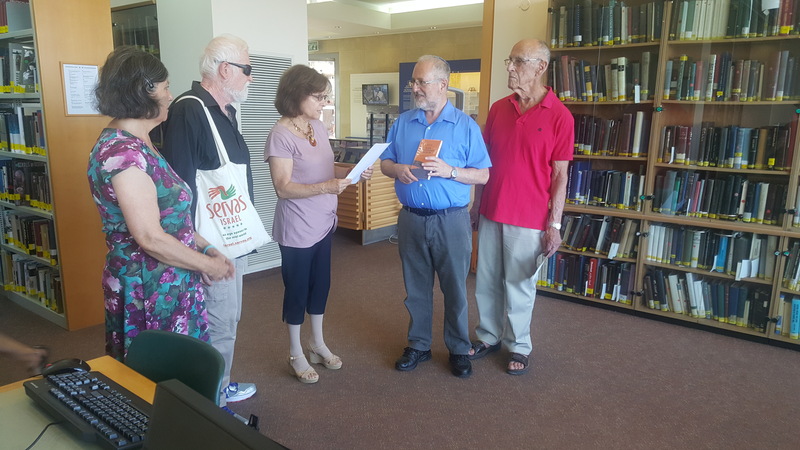 The book, written by Lorenz, Servas Austria member, was presented on Tuesday July 17, 2018, to Dr. Robert Rozett, Director of the Libraries, Yad Vashem by Servas Israel members: Lesley, Meir, Eran, Claudia and Shlomi (filming).